The blurb: Complete with everything the eager artist needs to start painting their pictures, this Reeves Painting By Numbers Gift Set is a great way to be introduced to painting. The Contents: Easel, Numbered painting boards, 21 paints, 2 brushes, Brush pot, Mixing palate. Chick and I both really liked this. 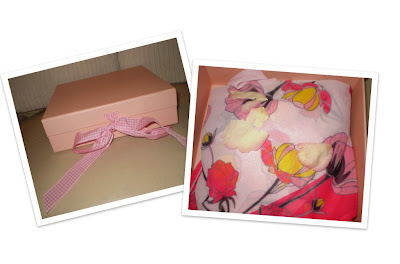 I was amazed by the quality of all the items included but especially by the picture boards themselves. It was super easy to store in the box it came in and was great for getting out and quickly putting away again when Chick had enough. The only downside for me was that Chick got bored with trying to paint all the tiny parts of the picture and waiting for long enough for the full picture to be ready. As I’ve said previously we both have problems with co-ordination so I think is our problem rather than with the kit. I highly recommend it for any budding artists out there. This is aimed at ages 8+ and I think that younger children would probably struggle with this unless they are a perfectionist and patient enough to complete all the fiddly bits. Available instore from Toys R Us. This Giveaway is now closed. Please keep checking back for more great giveaways. Chick is obsessed with all things back to school. It starts before she’s even finished for the Summer. She gets a back to school ‘look book’ from Tesco and then carefully pours over each item marking off very carefully what she would like!! Once this painstaking part is over we then have to trek the aisles of Tesco making sure that it all lives up to her very high standards!!! As she is so obsessed with it, I tend to be one of those horribly organised people that has all of the uniform ready, with names written on each item, stacked up and ready to go and this year is no exception. Chick saw an advert on the TV when Tesco were running the £15 bundle offer and we bought one of those and got her winter coat etc. Another great thing that Tesco have this year is the ‘buy one, give one’ campaign. Basically you buy an item of uniform from their fair-trade range and Tesco donate a full uniform to a child in Sri Lanka, Kenya or Bangladesh. I love this scheme as we generally can’t afford to give a vast amount to charity but I feel that this helps in a positive way. *A huge thank you to Tesco for sending us the uniform and a £30 voucher for me to buy something for myself!!! To celebrate my bloggiversary the lovely people at Argos have very kindly agreed to donate a prize for this giveaway worth £50!!!! I'm sure all of you have heard of Argos but for those that haven't.....you pick up a catalogue instore, decide which goods you would like to buy and then either order online or visit the store to collect your goods.....simple!! I don't know about you or your children but Chick religiously uses the Argos catalogue to compose her birthday and Christmas lists!!!! I spent ages looking through the book trying to decide what would be a lovely prize to giveaway.....some toys maybe? Or a new barbie for Chick or some lovely characters from sylvanian families. Then it occurred to me that with Christmas not being too far away a gift voucher would be a brilliant idea because then you could spend it exactly as you choose!!! Closing date is Friday, 2nd September at 5pm. This prize has been supplied by Argos and will be despatched within 28 days of the winner being announced. So talking about shoes....I'd seen Olivia Rubin's designs around for the past few years now and loved them with their funky patterns. When I heard that she was doing a project with Bold 2-in-1 I got quite excited at the thought that I may finally be able to own something of hers. 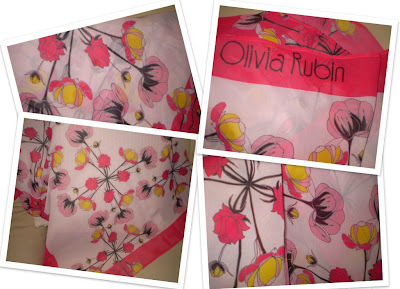 Imagine my joy when the lovely Vicki contacted me and asked me if I would like an Olivia Rubin scarf and not only that but did I want to give two away to my readers!!! I think she may still have the teeth marks from how quickly I bit her arm off to say yes!!! As I said Olivia has teamed up with Bold 2-in-1 and the floral freshness of Rose Blush & Peony. Olivia says 'The stunning flower markets in London inspired my design for the exclusive scarf for the launch of Bold 2-in-1, infusing all the vibrant shades into a key accessory'. 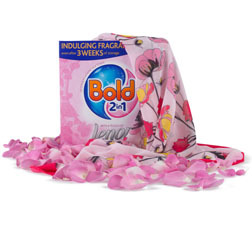 The washing powder has a unique scent release technology which means that even after 3 weeks in storage in your wardrobe you will be able to smell the scent of Rose & Peony. So now over to you.......To be in with a chance of winning all you need to do is leave me a comment below telling me how you what outfit you would accessorise with this scarf. 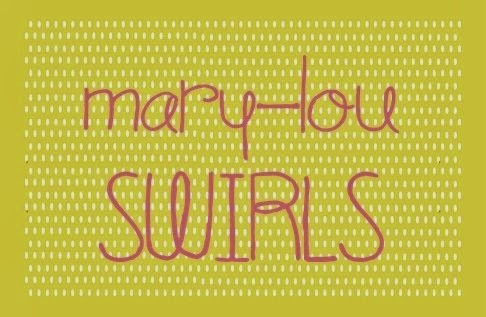 You could also follow me here or over at my main blog :-) Simple right??? They are aimed at ages 8+ which I think is about right....especially if your children are as uncoordinated as Chick and I!!! They retail at around £7.99. I have a pack of Fyrflyz to giveaway courtesy of Toys R Us. To enter all you need to do is leave a comment below telling me what you think you and your family would enjoy most about them. You can also check out the brilliant Toys R Us Toybox application on Facebook. *This giveaway is courtesy of the Toys R Us Toyology programme. We have a family ticket on offer for you to go and explore the HMS Belfast. 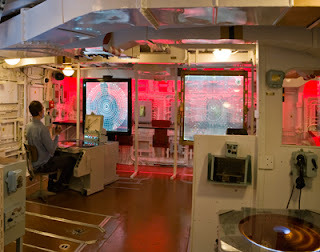 It's a floating museum on the Thames in London and is part of the Imperial War Museum. I'm very excited about this giveaway mainly because we are going to experience it on our next trip to London and it's awesome that I can giveaway a ticket as well. The ship is based just a short walk from London Bridge and Tower bridge and you can explore all 9 decks!!! The ship saw action in the Second World War and the Korean war and is bought to life through temporary exhibitions, displays and historic spaces all put together with the help of Royal Navy Veterans and eye witness accounts from the Imperial War Museum. To enter this giveaway all you need to do is leave a comment on this post. 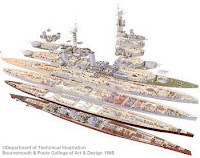 You can also check out the Imperial War Museum website or follow them on Twitter. 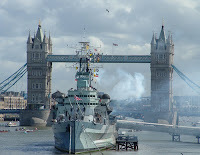 *This prize is a family ticket to the HMS Belfast only and does NOT include travel or accommodation. The prize is for two adults as children go free. 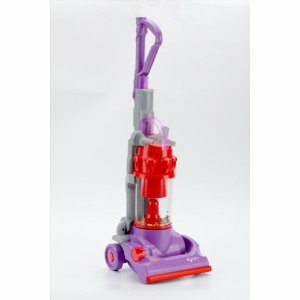 The blurb: The hottest vacuum cleaner to date from the Dyson stable, the Casdon version features an imitation vortex that spins coloured beads making it look and sound like it's really working. The detachable wand has working vacuum action which can pick up small pieces of paper or poly beads. The toy also includes detachable tools on board. Height 69 cm. Requires 4 x C batteries, not included. 3 years +. Chick and her friend Miss.C both used to have one of these when they were younger and what they both liked about it was the fact that it did actually pick bits up off of the floor......only small bits admittedly, but they enjoyed helping with the housework. It's aimed at ages 3+ due to the small pieces contained inside (I guess!!) but I would have had no problem with Chick using this at a younger age.....supervised of course! 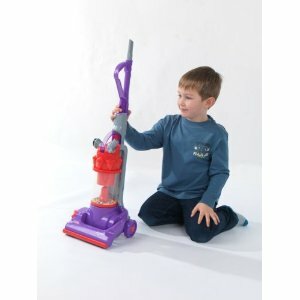 The Dyson retails at around £20 and the model that I have to giveaway is actually grey & yellow so a little more unisex than the model shown in the pictures. To enter you just need to leave a comment below explaining how you would review this item......it's as simple as that. 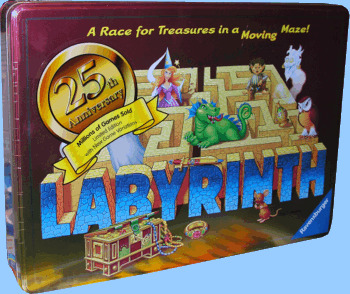 The blurb: With Labyrinth, gain the advantage over the other players by inserting the extras tile to move walls and open passages of the labyrinth. Learn cause and effect, planning, association, recognition and taking turns. The Leader of the club says that she really enjoyed playing the game and so did the kids. She especially liked that fact that whilst the kids thought that it was fun it was great for making them think and for planning the moves ahead. Holiday Club gave it 10 out of 10 as not only have they all enjoyed it but have played it almost every day since I gave it to them!! Chick says: I really love this game. 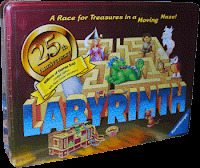 It’s quite tricky because you have to work out where to put the pieces to get your treasures but its fun. 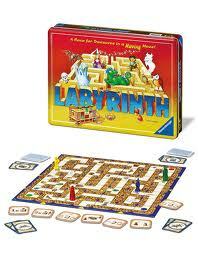 The game is aimed at ages 8+ but I don’t see why younger children couldn’t join in and play with some help. It’s easy to assemble and once the rules are explained is pretty easy to follow. You can also step it up a gear and employ serious strategy to win!!! Available to buy in-store from Toys R Us. The blurb: Now you can make your own very own metal badges. Choose an image of your favourite pop star, pet, friend or anything cool and use it to make your own badge. The badge It! set comes with the badge maker, and enough stuff to make 15 badges. Refill packs are sold separately. I’ve saved this one for a while as I knew that Chick would be really excited to play with it. Yesterday when she fell down the stairs and hurt herself I decided that it would give her the distraction that she needed and boy was I right!!! We started off with all of the bits that came with the set and reading the instructions.....except I didn’t read them properly and the first badge was a write off!!! Whoops! Chick absolutely loved this and today I had strict instructions to print off pictures of her, her friends and any small pictures that I could find of The Wanted, JLS and One Direction!!! Obviously being as I appear to not wear the trousers in this house I did exactly what I was told and printed off the pictures and she has spent tonight making them too!!! The unit retails at around £20 which I would definitely pay for this although had I bought it for a present would probably have grabbed a refill as well. It’s aimed at ages 6+ although I see no reason why younger children couldn’t make them with some help. Available in store from Toys R Us. Remember to check out the fab new Toybox application on Facebook!! The one thing that I'm not generally fussy about is washing powder. I buy whichever is cheapest or is on special offer in the supermarket and I'm happy with that but I do always buy powder. I try and do my bit to be green and wash everything (apart from whites) on as low a temperature as I think I can get away with!! 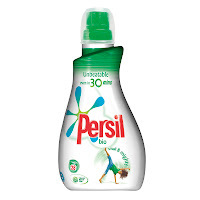 When Persil asked me if I would review their new Small and Mighty product, they said that by using colder washes I could save 5-10p per wash and use the quicker washes with the same results. Now as you know my little Chick is very accident prone and this isn't just her tripping over her own two feet but also is her dropping, spilling things etc! When she's been painting she ends up with more on her clothes than on her pictures so I thought that I would put this to the test and see if it worked for us. As I said I don't normally use a liquid but I was willing to go with it and see and I have to say that I'm a total convert. 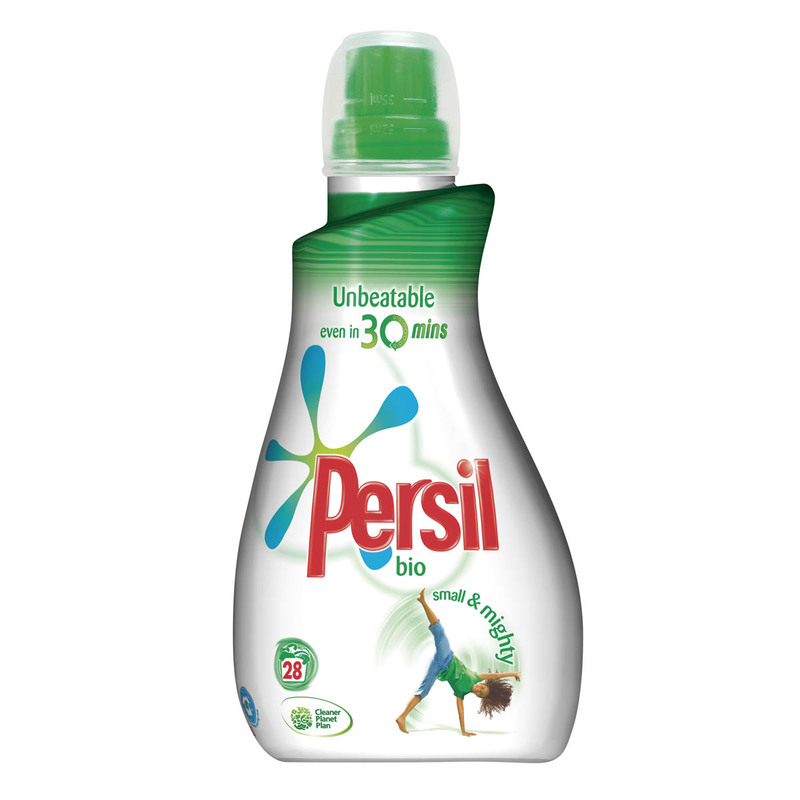 As it's a concentrated liquid you only need a small amount and you can use it in the drawer or put it in with the washing. I've been doing half and half. The thing that I love the most about Small & Mighty is the smell....it's absolutely divine! You can smell it whilst it's washing and drying but also once you are wearing the clothes. It washed all of our usual stuff on much lower temperatures with great results. I often use the quick wash for my work clothes and again it worked perfectly with another plus being that I'm saving time and money on each wash. I will definitely be buying this when my free bottle runs out!! Available from all the usual supermarkets and retails for around £4 for a regular bottle.